Good morning, dear readers, and happy hump day! I am still hanging out in Crested Butte with my inlaws, and it snowed last night for my birthday. I decided to brave the cold weather to run and hop into the hot tub on the deck outside. It was quite the experience sitting toasty in the water while snow was falling and piling up in my hair! It was a fantastic way to end the day! It was so quiet and peaceful just relaxing with my husband after all the other adults and kids had gone to bed. Now on to today's post! Today's blog post is featuring a gorgeous Big Brother 17-inspired shade by NailNation 3000. Look at this beauty! This is a funky fun bright blue suede shocker blue with sparkling blue and pale purple flecks! This shade is as fun as our rockstar dentist! This shade is a rich royal iron blue. Mack Attack is gorgeous! I absolutely adore this with the suede finish, and it may even be my favorite suede polish. The formula was fantastic; it applied like a dream. I used two coats for these photos. If suedes aren't quite your jam, I love the way this looks with top coat. Whether you decide to wear this with the suede finish or add a layer of top coat, you really cannot go wrong. 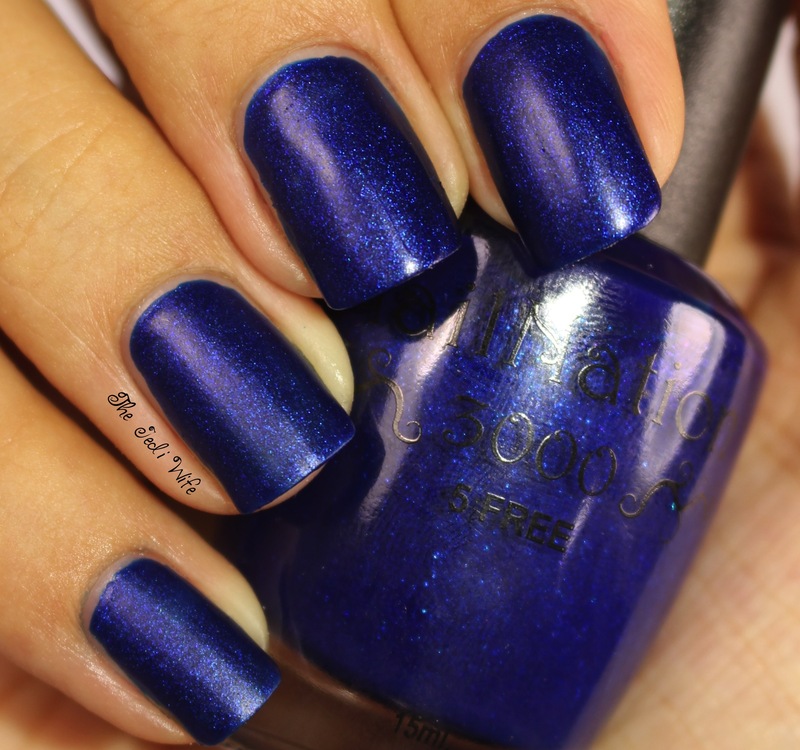 It is beautiful either way, and if you are a fan of blue polish, you certainly need this stunner in your collection! Mack Attack is available for purchase from NailNation 3000 here. 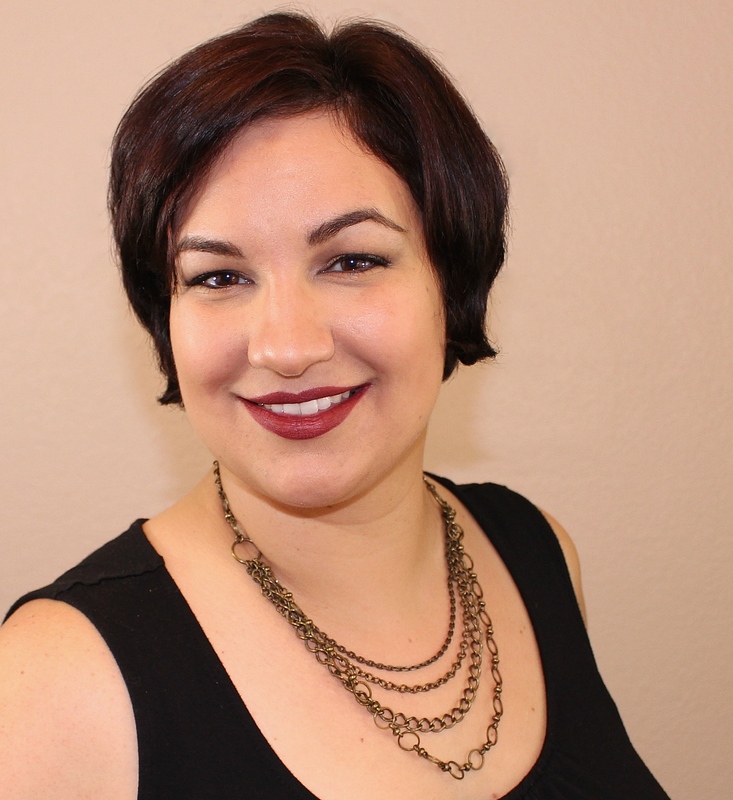 There are other gorgeous shades to choose from as well, and I encourage you to check them out! It must have been such a great experience to lay in the hot tub with snow falling!!! Back to nails, I love this shade glossy!! 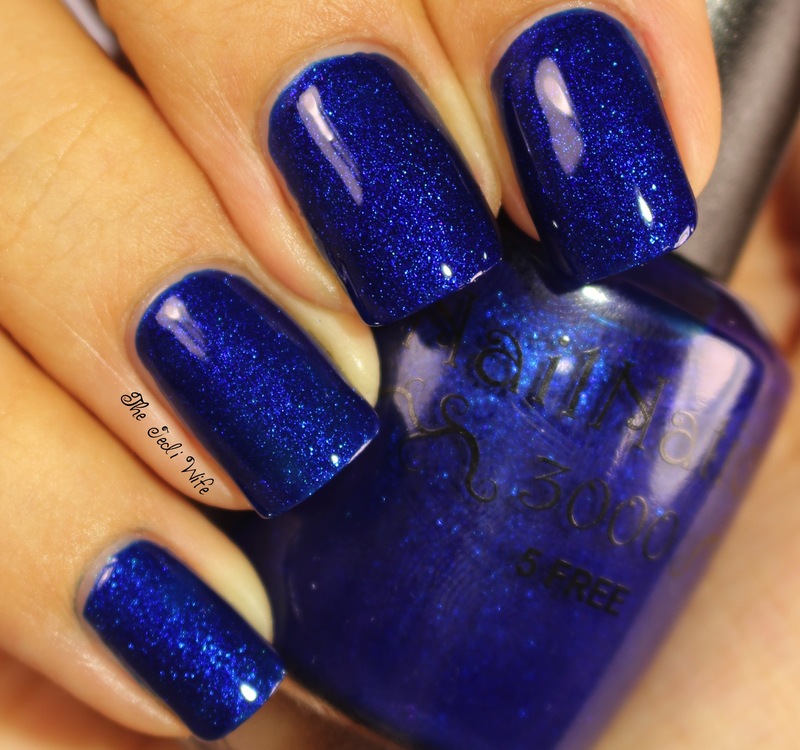 I always like blue, but this top coat, makes it super duper fantastic great mani - i LOVE it! What is that magic?!!! How amazing is that blue polish!!!!! Gorgeous color! And I absolutely love sitting in a hot tub in the winter. Its perfect! This was one of my favorites from that collection! Fab blue! Great swatch! Happy Birthday! That polish is pure perfection. Love it. Amazing swatch. I love this polish and the suede finish. I would love to try that someday. Be in a hot tub while it's snowing. This polish is pretty! Wow, that is really stunning! I do prefer the glossified version, but either way it is beautiful!